d'Cor- - 10499 - 134th Street, City Centre, Surrey, BC - Urban City Rentals Inc.
D'Cor at 10499 134th Street is one of Central Cities newest condo developments. D’Cor was built in 2006 by Kerhoff Construction consisting 72 units. There are 2 "4-storey" lowrise condo buildings in addition to the new D'corize highrise. 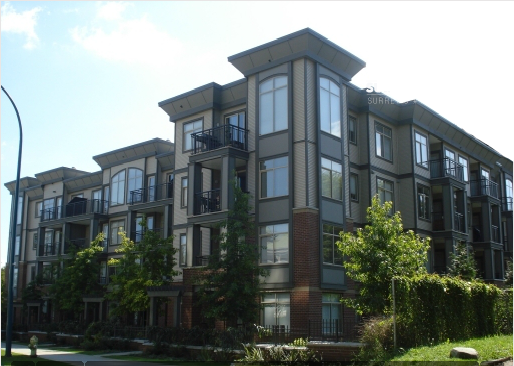 D’Cor is located in between the Gateway and Surrey Central skytrain stations, rapid transit is never an issue. D''Cor is just blocks from Central City mall, SFU Surrey & Skytrain Station. Secure underground parking and units well appointed with granite countertops and beautiful finishing's, D'cor is definitely downtown style living. Great amenities also include a meeting room and fitness studio.